You know those cheap plastic pots you get from the nursery, only to throw away? Recycle them by using them to control those invasive plants in your garden (we’re looking’ at you, mint!) with this easy tip from ‘Family Handyman‘. Simply cut the bottom out of the pot, then sink it into the ground with the lip below ground level. The open bottom allows the roots to grow down, but prevents the plant from spreading through your petunias! Another use for cheap plastic pots? From ‘Vegetable Gardener‘, sink plastic pots to make summer squash grow like mad. 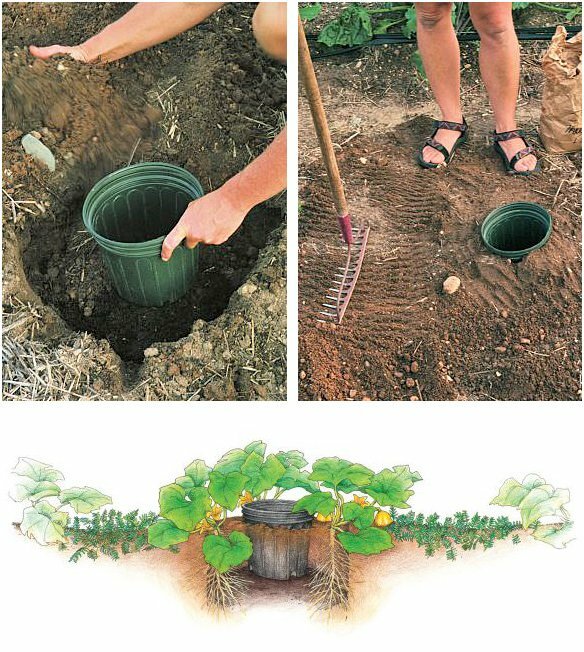 The open bottom pots force water to go deep into the soil, making watering easier and more efficient, and creating healthier plants that produce more fruit. 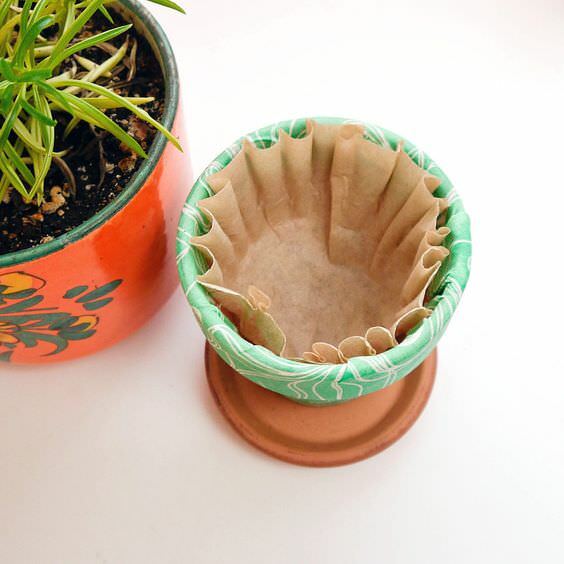 ‘Popsugar‘ has a great DIY garden hack for you from the kitchen… Place a coffee filter in the bottom of a pot before you plant to keep soil from washing out through the drainage holes. Great for indoor and outdoor potted plants. 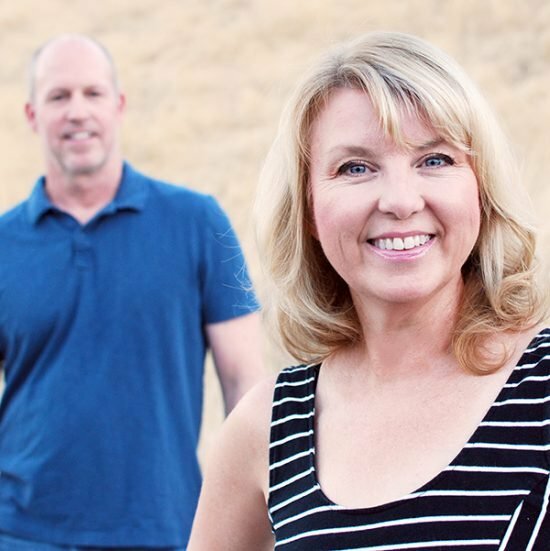 Our next project is a photo Steve took while we were at a wedding event in the Walla Walla wine country. 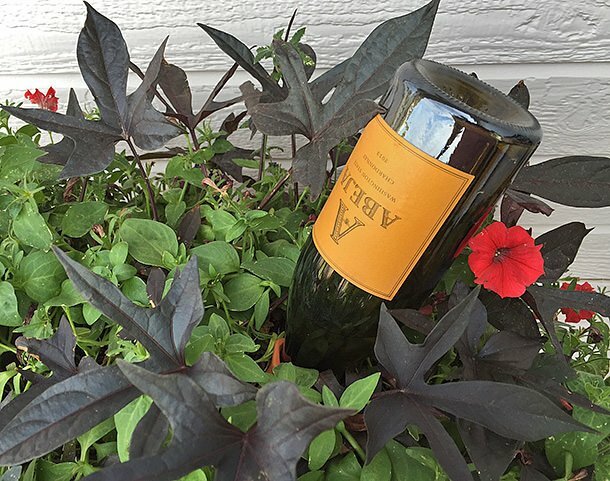 We have a whole post on this wine bottle watering hack! From Missy at ‘Graceful Little Honey Bee’, improve your soil with eggshells and a blender. 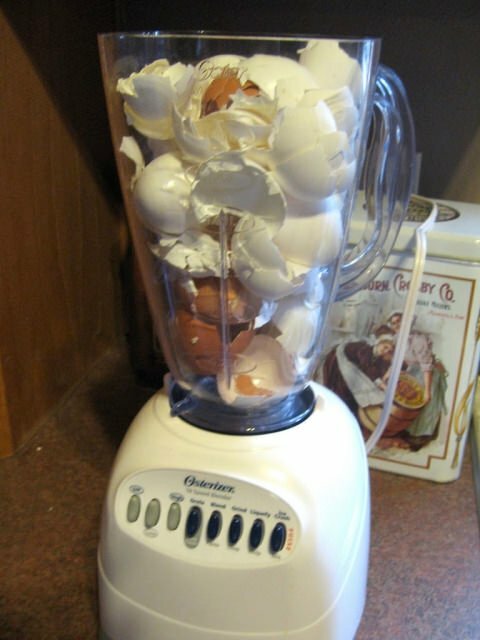 The blender helps speed up the breakdown of the eggshells adding valuable nutrients and organic matter to the soil. Tired of heavy large planters filled with expensive potting soil? Me too, especially since when filling them with annuals, their roots only use the top 6 inches! ‘Bees Knees Bungalow‘ has a great DIY garden hack for you… Fill the bottom half of the pot with old (lightweight) things lying around to take up space. Then you only need to use half the soil. Check out her site to see how pretty that planter was after! Same idea from ‘Family Handyman‘… except they use those styrofoam packing peanuts so you don’t have to just throw them away. 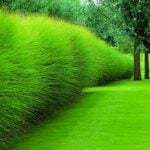 Great DIY garden hacks to make life easier! 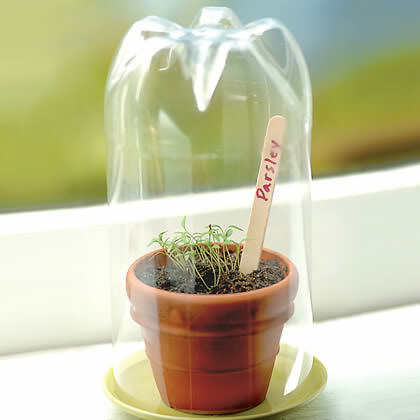 Help those window sill seedlings thrive by creating a mini greenhouse from a pop bottle with the top cut off, from ‘Disney Family‘. Be sure to take the cover off the seedlings for an hour or so a day, and don’t leave it on in direct sun. Poke a hole or two in the top if it is consistently steamy. You want it warm, but not a tropical jungle! 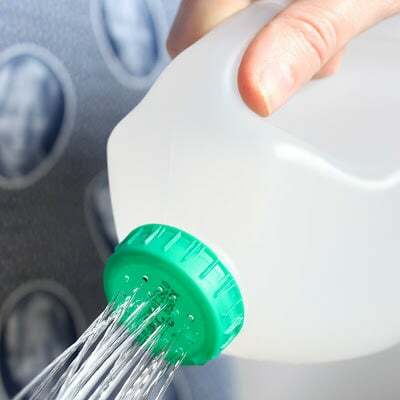 Simple tutorial from ‘A Journey to Dream‘ on how to create a simple watering can from plastic juice or milk bottles. They also show you how to create a fine spray, or a faster spray depending on your needs. 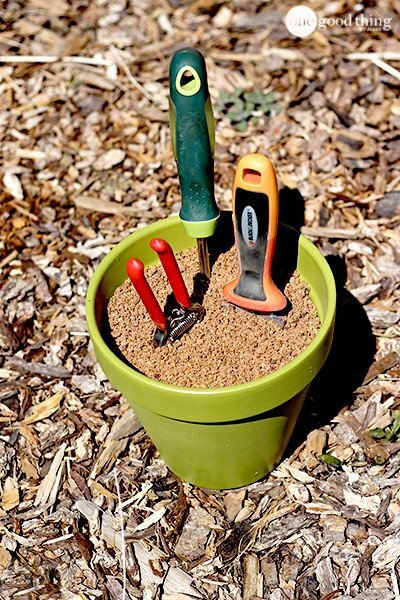 Smart garden hack! From ‘One Good Thing with Jillee‘, make a self cleaning and sharpening garden tool holder. 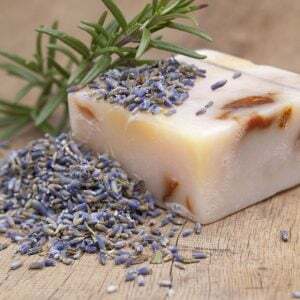 This is easy, just sand and mineral oil, plus some pretty touches only Jillee can add! The sand and oil act like sandpaper on the tools’ metal edges. These clear plastic storage containers become mini greenhouses or cold frames to protect seedlings from wind, frost and rain. You can always pop on the lid when you need extra protection. Great DIY garden hack idea from ‘The Prairie Cottage‘. I think I have like 4 of these in my garage right now! 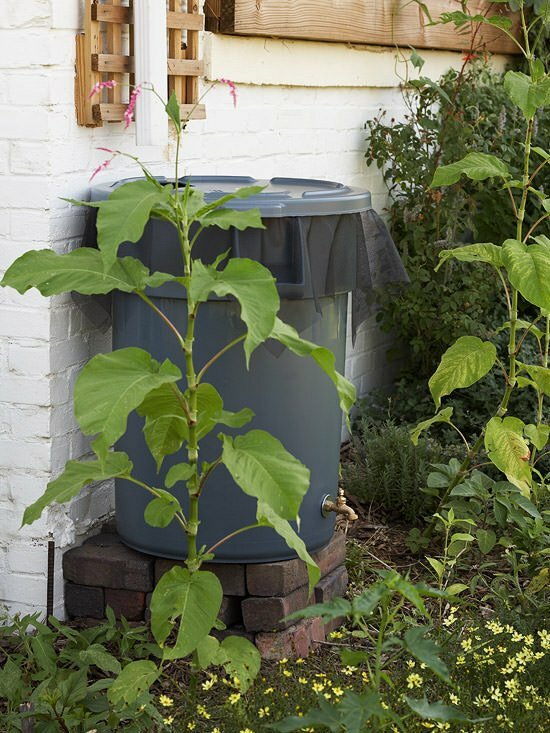 Save wasted water by making this inexpensive rain barrel from ‘BHG“. This even has a spigot so that you can access the water as easily as the hose! 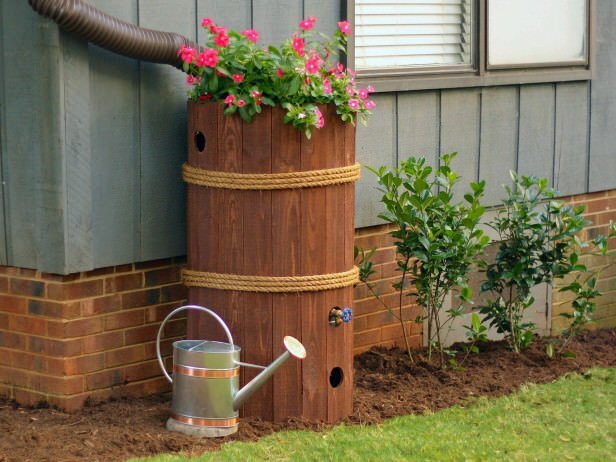 Last, learn even more about rain barrels and make this gorgeous one from ‘HGTV Gardens‘. You won’t have to hide this hack! Weren’t these DIY garden hacks creative and clever? 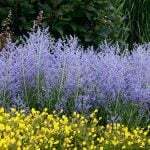 We think you would also love our posts on Gardening Cheat Sheets and DIY Wasp Traps and Solutions! Very impressive with the idea of using plastic bottle! It’s really good for protecting the environment! Wonderful ideas. Can’t wait to find the time to spend a whole day on your ideas. What drew my attention to your blog was something I saw about making a pond with a plastic container but in the one hour that I have available right now I just can’t find it. If possible can you email it to me? Thanks. 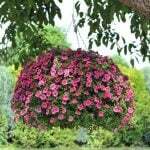 An idea when planting those wide mouth planters or wine barrels – instead if buying a bunch of small plants (which can get expensive – plus you have to wait for them to fill in), buy a hanging plant basket. 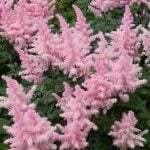 The plants are usually full, and you can even pick one that has multiple varieties. 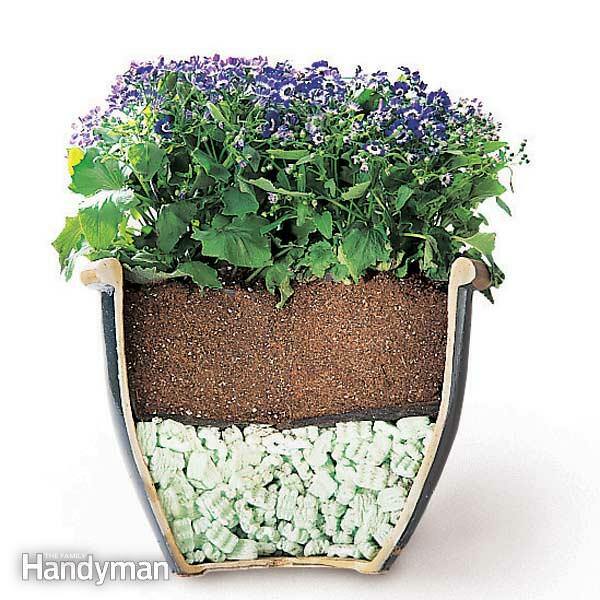 Put a cinder block, upside down plant pot, or other “spacer” to elevate the basket (usually white plastic) to pot height, this way you will not need additional soil – don’t forget to remove the plastic hook attachment from the basket. 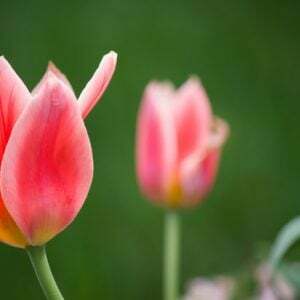 If you are using a container that is much wider and you want to remove the plants from the container, put spacers in bottom of pot and cover with weed mat. Place plants and soil from basket into planter, and top off with soil. Another trick I learned is to microwave the eggshells for a minute or so. It helps sterilize them, but more importantly to me, it makes the shells super brittle and easy to grind into powder. What great ideas! Thank you for posting them. 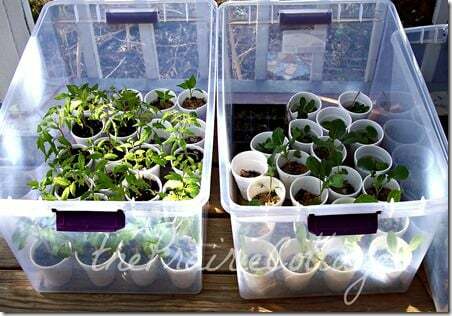 I can’t believe I hadn’t thought about using my clear crates that have cracked corners or even cracked lids. I knew I kept them hanging around for some good reason! 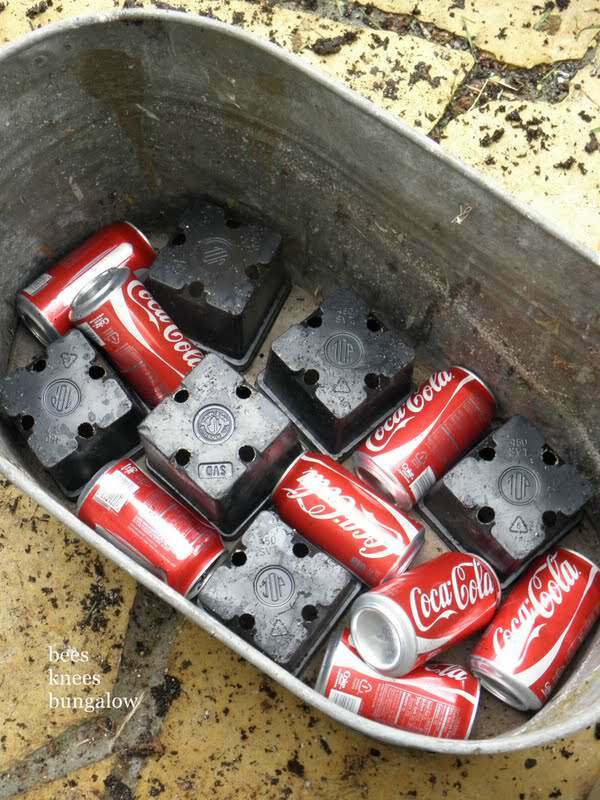 I have used the pop bottles as greenhouses hack, but I use the top end and just set the lid on. That way it’s easy to remove when it gets too hot in there. A friend of mine puts little soda bottles in the bottoms of her big containers, but we discovered that you should put the lids on well, and the bottles may migrate to the surface (I have no idea how or why), so be sure to check every so often. She had a bottle come up to the surface and prevent her black-eyed susans from spreading evenly in her giant pot. It also had collapsed, so it wasn’t taking up as much room as she had expected. I love learning from others who’ve tried hacks and ideas. Thanks again for this post!